NFU vice president Guy Smith has warned the Government should be wary of bumping up costs for farmers as the 25-year Environment Plan was published. A keynote speech from the Prime Minister accompanied the release of the long-awaited plan this morning. 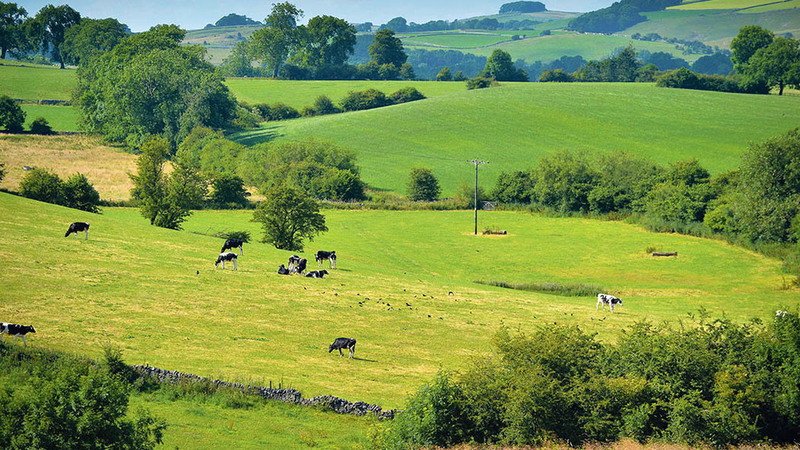 It is wide in scope and contains a number of promises, including a £200,000 investment in developing ‘meaningful metrics’ to assess soil health and a review of 70-year old legislation around National Parks and Areas of Outstanding Natural Beauty. The plan also includes a pledge to explore ‘innovative’ funding mechanisms to promote long-term sustainable land management practices, such as capital grants; private payments for eco-system services; reverse auctions and conservation covenants which would allow landowners to protect features on their land either for altruistic or business reasons. But other commitments to move towards a ‘more effective application’ of the polluter pays principle could see farmers penalised. The plan reads: “Farming can be a powerful force for environmental enhancement, but it currently generates too many externalities such as emissions from livestock and pollution from fertilisers and pesticides. “Overall, farming is now the most significant source of water pollution and of ammonia emissions into the atmosphere in the UK. The plan goes on to suggest ways in which the Government will clamp down on such pollution, by limiting use of manures, slurries and chemicals to ‘economically efficient’ levels. Mr Smith said: “Like most British farmers, I am up for the challenges laid out in this plan to better manage our soils, water and biodiversity. “But what Government need to be wary of is inadvertently downsizing home food production by increasing costs on farmers through extra regulatory burden. Pesticides were also in the Government’s firing line, with a promise to ‘put Integrated Pest Management (IPM) at the heart of an in-the-round approach’ to ‘protect people and the environment from the risks pesticides can pose’. A review of the UK National Action Plan for the Sustainable Use of Pesticides was announced for 2018, alongside the publication of a new Chemicals Strategy to ‘tackle chemicals of national concern’. Contamination of water was a specific worry. The plan pointed to a reduction in the presence of polybrominated diphenyl ethers (PBDEs) in water as a success. The drop has been achieved through a ban on their use in certain products. This ‘source control’ measure, alongside plans for ‘stakeholders to take ownership of problems’ will be used as a blueprint for managing future risks. “We will look to the water industry and manufacturers of pesticides and other agri-sector industries to deliver these various approaches”, the plan reads.